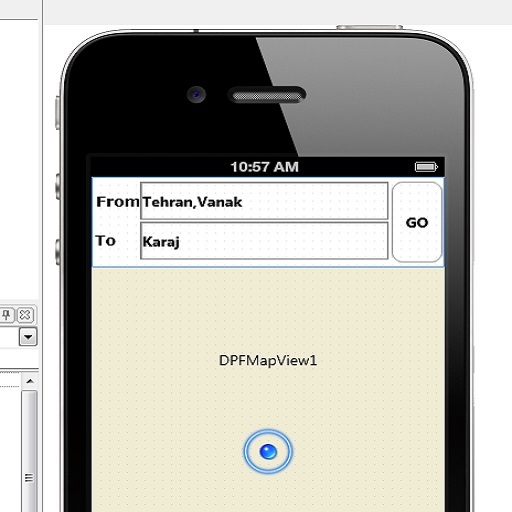 The D.P.F Delphi iOS Native Component set includes a mapping component (TDPFMapView) that wraps up the MapKit.framework, providing an interface for embedding maps directly into your own Delphi FireMonkey iOS applications. This framework also provides support for annotating the map, adding overlays, and performing reverse-geocoding lookups to determine placemark information for a given map coordinate. As with all the components in the set, there are demos, (MapView By Address, MapView Direction, and MapView User Location) to help you get started. Download your free copy of the the D.P.F Delphi iOS Native Component set and try out the MapLit.framework component (TDPFMapView) today.